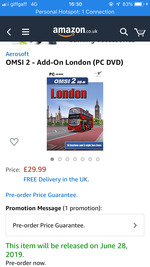 OMSI 2 Add On London OUT NOW! what do you mean well done sir and who to ?? Ok, this thread has served its purpose. Happy April fools everyone.